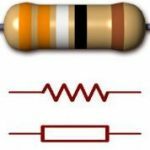 Resistor is an electrical component, which has been manufactured with a specified amount of a resistance. 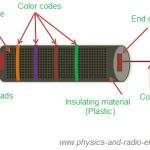 A passive component which offers opposition to the flow of current is called as resistor. 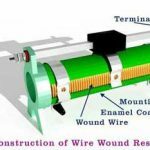 Why resistors are called passive device because they contain no source of power or amplification but only attenuate or reduce the voltage or current signal passing through them. These attenuation results in electrical energy being lost in the form of heat as the resistor resist the flow of electrons through it. 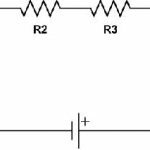 In electronics circuits, resistor is used to oppose the flow of current, adjust the signals levels and to divide voltages among other uses. Resistors are common elements of electrical networks and electronics circuits. The electrical function of a resistor is specified by its resistance. The nominal value of resistance falls within the manufacturing tolerance, indicate on the component. The unit of resistor is ohm (Ω). The materials used for resistors are tungsten, bronze, phosphor, nichrome, magnum, and constantan.